Feature requests play a huge part in Adobe Premiere Pro CC, more than any other NLE on the market. How do the Adobe Premiere Pro managers decide which feature requests "make the cut" and which don't? Just like editing a story, there are thousands of different ways to develop Premiere Pro. This is not to say feature requests are randomly selected; Adobe Premiere Pro is following a script—one that its users help write. @AdobePremiere recently upgraded to CC & loving the updates- clearly based on user feedback & helping my workflow immensely- great job! 1. Most good for the most customers should be the primary filter for every user submitted feature request. Does the feature request accomplish the most good for the most users? If the answer is no, it does not mean the request is invalid. It just means it won't be a top priority. Premiere Pro is a product, and just like any other product, it needs to first appeal to all potential customers before it can be tailored to select user groups. 2. High profile customer feedback must be given special consideration. 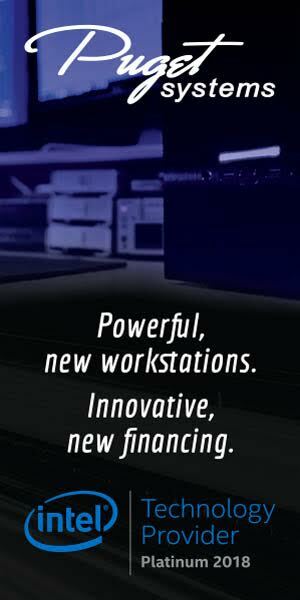 Like any business, Adobe caters to some of the specific needs of it's high profile customers. This might appear to contradict the first consideration of most good for the most customers, but it doesn't. In fact, this partiality directly benefits all customers! High profile customers are experts, and when the Adobe Premiere Pro team implements new features based on expert feedback, the result is expert tools for ALL users. For example, if Walter Murch, ACE, calls his designated Adobe rep and says, "I think Premiere Pro really needs X." It will probably get more attention than if Joe Shmoe Tweets he needs Y. Walter Murch is an expert editor and if he thinks X will make Premiere Pro better for editing, chances are good it's going to help a lot of other editors. 3. Innovation and competition is a major challenge for every business. NLEs are no different. In every feature cycle, the Adobe Premiere Pro team has to balance user feature requests and the pressure to create new features to differentiate their product from competitors. It gets even more complicated when users request the same features and functionality as other NLE's. The Adobe Premiere Pro team has to respond with solutions that still feel like Premiere Pro and not something else. This is a key strength of the Adobe Premiere Pro team. They have been able to accommodate a massive influx of switchers, without marginalizing existing professional or amateur users. That is an amazing feat for any company, in any industry. And it's one that is winning a lot of customers. So, having explained the balancing act of considerations, how can the average Premiere Pro user submit effective feature requests? 1. Be Positive — Adobe Premiere Pro managers and engineers are REAL PEOPLE. I will say this repeatedly. They are flesh and blood and they respond to feedback. (If you've seen the comments on social media then you know the Adobe Premiere Pro team has tough skin.) Here's a tip: if you want your feature request to be easily dismissed, be negative and use a tone that is condescending. This applies to any setting, right? No one performs better under negative criticism. No one is empowered to work harder by being made fun of. You don't have to butter up the Adobe Premiere Pro team in your feature request, but snarky and offensive language is hardly helpful and it definitely does not help you get what you want. 2. Be Passionate — The Adobe Premiere Pro team is one-of-kind when it comes to inviting its users to participate in making the editing experience better. So take some ownership in Premiere Pro! Submit a constructively-worded feature request every time you encounter the need for it. Use your voice to rally other users around a feature request that you are passionate about. As long as you can clearly define the need, and if you are positive and persistent, eventually you will get a response. 3. Be Persistent — There is a fine line between feature requests that are persistent and ones that are annoying. This is often decided by whether or not it's positive. The Adobe Premiere Pro team members are REAL PEOPLE. They will notice users who are persistent in their requests. In fact, the Adobe Premiere Pro managers have the power to act as representatives on behalf of user feature requests. The key is, does your feature request do the most good for the most customers? If yes, then you should be persistent in asking for it. 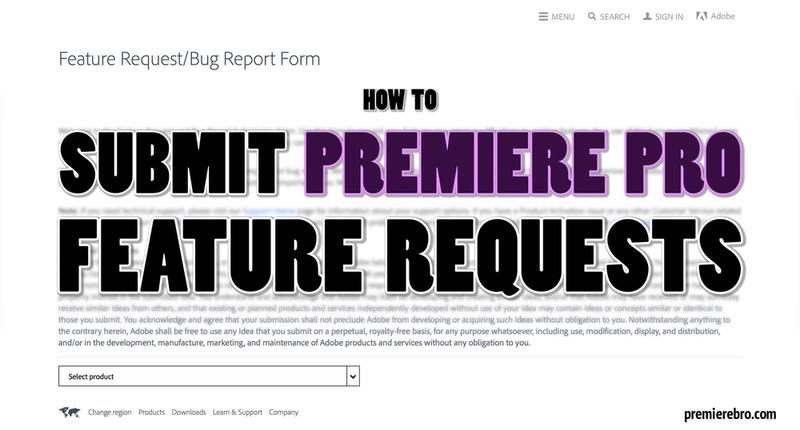 [UPDATED 4/13/16] Premiere Pro feature requests should be submitted via the Feature Request/Bug Report Form. Here are 3 additional ways to engage the Premiere Pro team. The channels listed above do not provide the same customer feedback support as the Feature Request/Bug Report Form. Consider the following quote by Kevin Monahan, Support Product Manager, Digital Video and Audio Applications at Adobe, on the value of the form. By all means, contact the Adobe Premiere Pro team however you want! If you are friendly, they'll appreciate your engagement. Just remember, your feature requests will be referred to the Feature Request/Bug Report Form. A virtue production teams have, that many post production teams lack, is adaptability. There's the movie you plan to shoot, and there's the movie you actually shoot. Anyone who has been on set will tell you s••• happens, you make an adjustment, and the film is usually better for it. Unexpected problems force creativity, collaboration, and learning opportunities. Instead of thinking Premiere Pro, or any NLE, is a flawless piece of machinery; think of it as an artistic medium, like paint and brush to a painter. There are times the medium fights back, doesn't work, has a mind of its own. Embrace it! It will always be a part of editing. If nothing else, this mentality will lower your blood pressure next time you encounter a Premiere Pro issue or a missing feature. Remember, be positive, persistent, and passionate. Happy feature requesting!